How cute is this little guy? I met Easton a month ago, when his Momma won a free mini session for entering & sharing about Kendra Hays Photography! 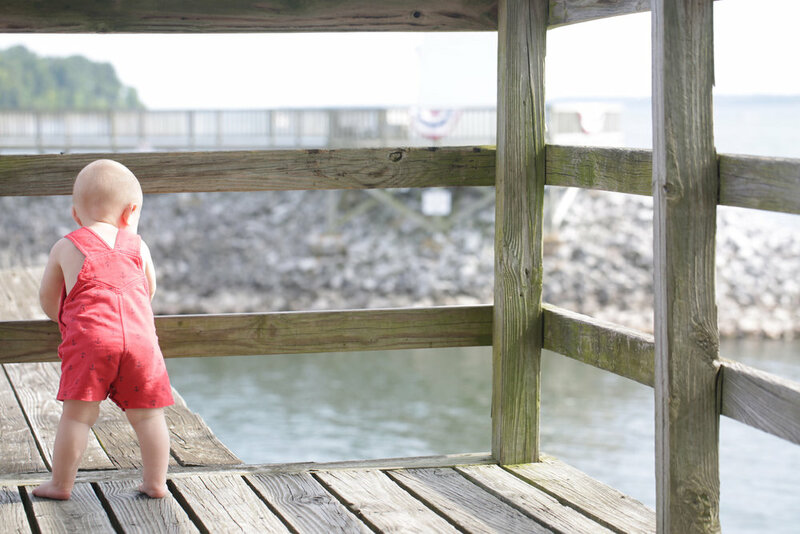 We met at Lighthouse Landing to shoot some super cute pictures of the little man! (That's the red outfit in the blog!) A few weeks later, Trista (Momma) messaged me to set up a cake smash for Easton! It worked out perfectly the following week I would be at the lake taking senior pictures, so we made it happen. Trista's family are members at Triangle Fishing Club, so we were able to use the quaint little beach down there! It was PERFECT for Easton's O"fish"ally One Birthday! Let me tell ya, this little fella LOVES some cake! Maybe even a little sand too, but it's okay, we got the sand out of his mouth pretty quickly! Take a look into a fish themed cake smash with Easton!